I'm just going to pretend I don't smell smoke. The forest can be a beautiful place. Centuries-old trees shade your path as you walk through a sprawling valley. The river has carved this place out the eons and its serene, yet unyielding presence reminds you that it was here before any human set foot in here and it will remain here long after the last human is gone. The forest can also be a scary place. One missed step and you're just another piece of debris floating through that river. Also: does that shadow look particularly bear-like to you? And of course there are the ever-present personal demons and sense of existential angst that accompany your every step. 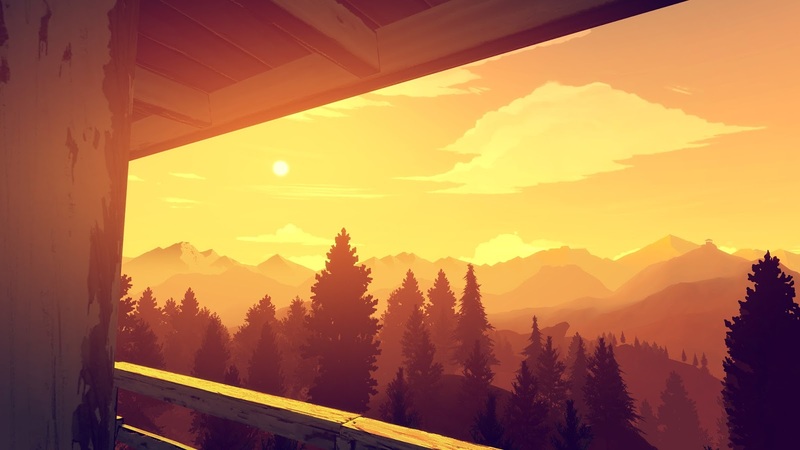 You guessed it: this week we're talking about Firewatch!